Wat Ratchabophit was built in 1869 during the reign of King Rama V. It’s noted for the impressive architecture featuring a mix of Thai and Gothic styles and its beautiful Thai Bencharong porcelain art decoration. 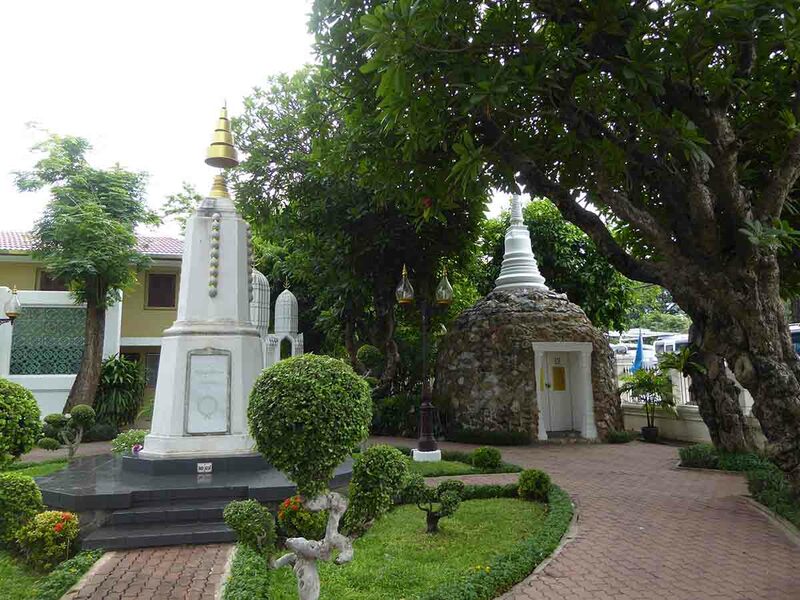 The temple grounds also house the royal cemetery containing monuments to and remains of both major and minor Thai royalty. The temples unique features are its beautiful Thai Bencharong porcelain art decoration and its layout with the Viharn and Ordination Hall joined by a circular courtyard. 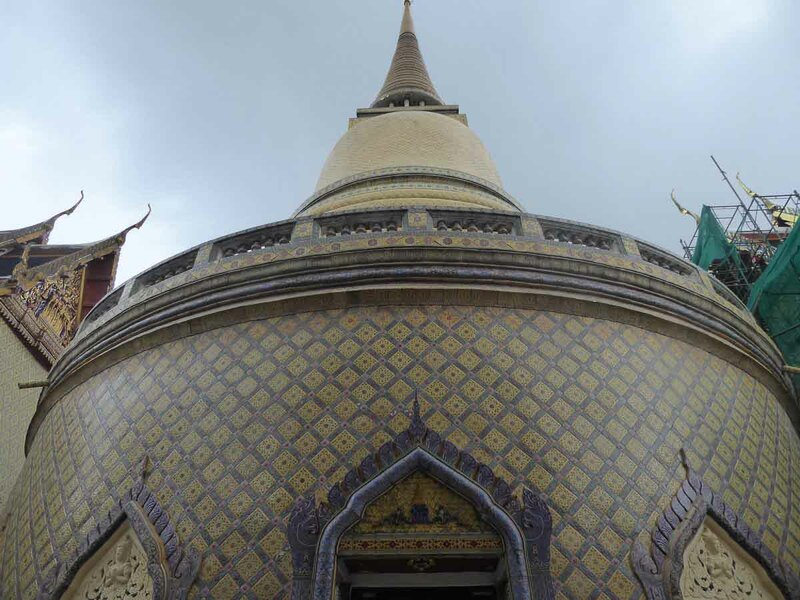 The courtyard contains a golden Chedi at the center, covered with golden colored tiles and topped with a golden ball. The Chedi contains a relic of the Buddha. 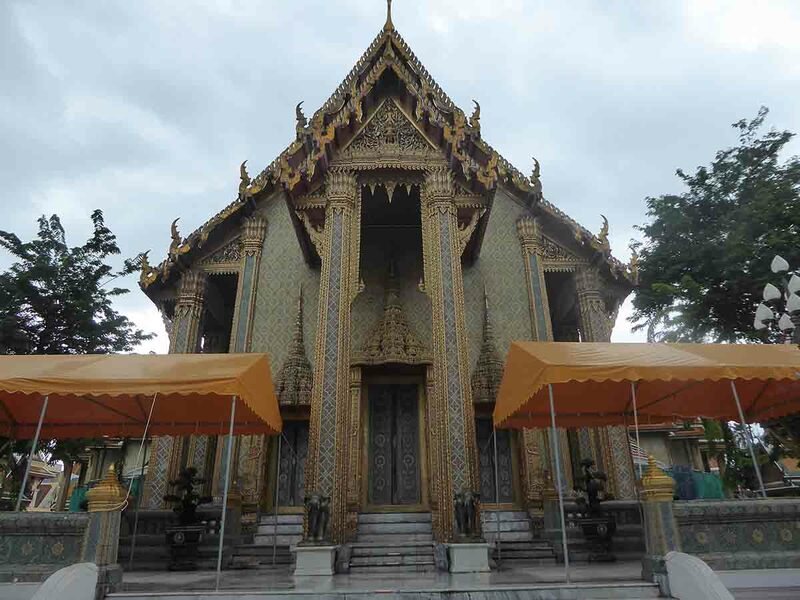 The main ordination hall is a blend of Thai and Gothic architecture housing a Buddha enshrined on an Italian marble base. 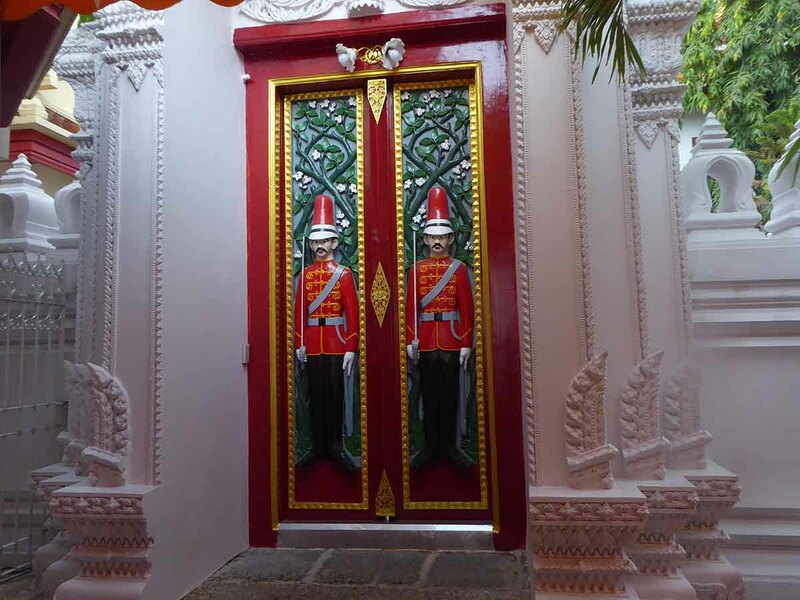 The entrance doors are decorated with inlaid mother-of-pearl which represents various medals and decorations. At the west end of the temple grounds is the royal cemetery featuring some interesting Gothic style architecture. 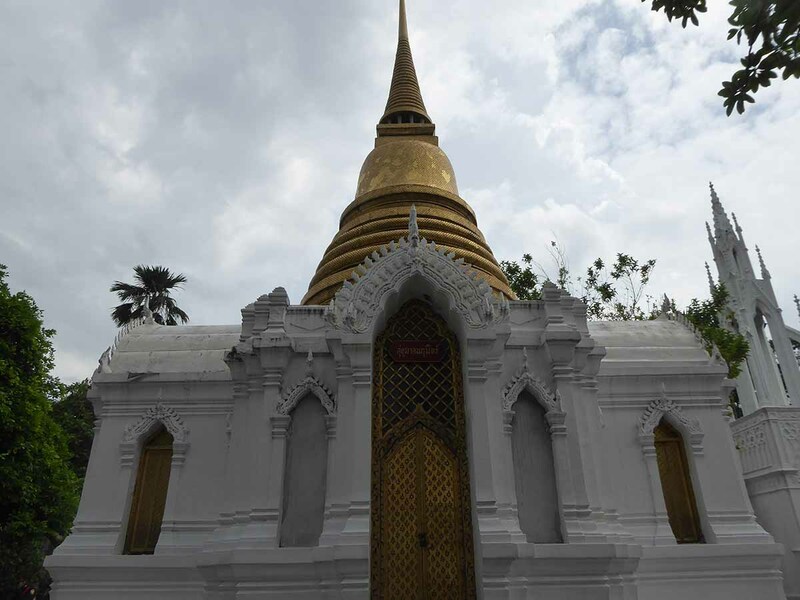 The ashes of the father, mother, and sister of the current monarch, King Bhumibol (Rama IX) are interred here. Location: 2 Feuang Nakhon Road.